Selena Marie Gomez is an American actress and singer who rose to fame when she appeared as the lead in the Disney's children's TV series, Wizards of Waverly Place (2007-2012). Her stellar performance in the series paved way for her to work on several other TV shows, music collaboration, and films for the network in the subsequent years. After working on quite a number of TV series', the actress focused her attention on the big screen and earned roles in films such as Ramona and Beezus (2010), Monte Carlo (2011), Spring Breakers (2013), Behaving Badly (2014), and Unity (2015). Apart from acting, Gomez is an accomplished singer. She has also launched her own clothing line through Kmart in 2010 and she has her own line of fragrances. In 2008, Gomez signed a recording contract with Hollywood Records and later she formed her own band called Selena Gomez & the Scene; the band released three studio albums in 2011. While the actress has no significant award to underpin her acting credentials, Gomez has earned several nominations and awards for her singing including the Billboard Women in Music Award, iHeartRadio Music Award, and MTV Video Music Award. Apart from singing and acting career, Gomez is an active philanthropist and works for various charitable organizations. Selena Gomez was born in Grand Prairie, Texas to Ricardo Joel Gomez and Amanda Dawn 'Mandy' Cornett, a former stage actress. Gomez's father has a Mexican descent and her mother has an Italian lineage. The young star has two step-sisters, Gracie Elliot Teefey and Victoria Gomez. The actress has earned a high school diploma through homeschooling. Gomez grew up amidst tough financial conditions in the family as her mother who delivered Gomez at the age of 16 struggled to make ends meet. Gomez later revealed that she got interested in acting by watching her mother prepare for the stage productions; she began auditioning for roles at a very young age. At one of the auditions in 2002, Gomez met Demi Lovato and both were selected for a role in the popular children's TV program, Barney and Friends on Disney Channel. The actress appeared in 14 episodes of the series between 2002 and 2004. While the actress already showcased her acting abilities by appearing on Barney and Friends, a children's TV series, she got her first big break in films when she featured in a cameo in Spy Kids 3-D: Game Over in 2003. She subsequently appeared in television films Walker and Texas Ranger: Trail by Fire. With a credible amount of acting experience under her belt, she was cast for a role in the Disney Channel's series Hannah Montana in 2007 where she played the role of pop star Mikayla. In the same year, the actress auditioned for a role in the Disney Series, Wizards of Waverly Place and was selected to play the lead role of Alex Russo in the series. The series became a huge success and propelled Gomez to more mainstream success. In 2008, the actress bagged the lead role in the musical film, Another Cinderella Story co-starring Drew Seeley, Jane Lynch, Emily Perkins and Jessica Parker Kennedy. The film opened to positive reviews and won the Writers Guild of American Awards for Children's script in 2010. Later, in the same year, the actress was cast in a supporting role in the animated-horror film Horton Hears a Who! The film directed by Jimmy Hayward and Steve Martino was a huge hit and it went to gross $ 300 million worldwide. In June 2009, Gomez starred in the Disney channel film, Princess Protection Program alongside Demi Lovato. The film received positive critical reviews and was a commercial success. Gomez continued her good run in films as she starred in a lead role in the 2010 movie, Ramona and Beezus, which was the adaptation of the children's novel series by Beverly Cleary. The film premiered on July 23rd, 2010 and it was received with positive reviews. The following year, the actress starred in Monte Carlo where she played the role of Grace, a teenager who is mistaken for a socialite while she is on her trip to Paris. In her preparation for the role, Gomez learned to play Polo as well as underwent vocal training to learn two different British accents. Her next movie appearance was a small role in the film The Muppets starring Jason Segel, Amy Adams, Chris Cooper and Rashida Jones. In 2012, the actress took a break from her music career to focus more on her acting career. 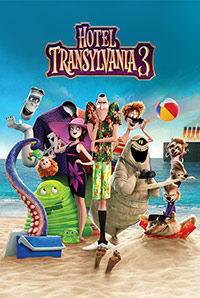 Her first release of the year was the animated film Hotel Transylvania (2012) co-starring Adam Sandler and Andy Samberg. The film premiered at the 37th annual Toronto International Film Festival and released on September 28th, 2012. Her next film, Spring Breakers starring James Franco released on March 22nd, 2013. The movie was unfortunately, a critical and commercial failure. In August 2014, the actress appeared in Behaving Badly opposite Dylan McDermott and Nat Wolff. The film opened to negative critical reception and was a commercial disaster. Later in the year, she appeared in Rudderless, which was the directorial debut for William H. Macy. The independent film received mixed to positive reviews and was an average hit at the box-office. 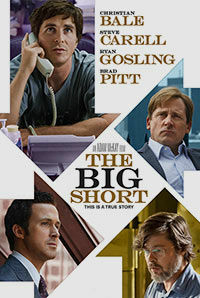 Following her role in Rudderless, the actress had no major film signings until she appeared in a cameo in the 2015 biographical comedy-drama movie, The Big Short starring Christian Bale, Steve Carell, Ryan Gosling and Brad Pitt. 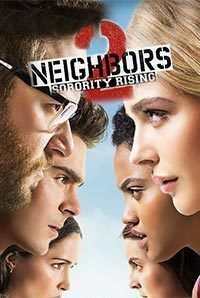 In 2016, Gomez had a supporting role in Neighbors 2: Sorority Rising. Her other movies of the year include The Fundamentals of Caring opposite Paul Rudd and In Dubious Battle, co-starring James Franco. The actress starred as Mavis again in Hotel Transylvania 2 (2015) before turning executive producer with Netflix original series Thirteen Reasons Why (2017) .Her latest project includes the third installment, Hotel Transylvania 3 (2018) as well as The Voyage of Doctor Dolittle (2018). Miley Cyrus was the original choice as the voice of Mavis for Hotel Transylvania, but she withdrew to focus on other projects. ‘Selena’ means Moon in Greek. Selena Gomez loves dogs and she has four pet dogs – Willy, Fina, Wallace and Chip in her home. Selena Gomez’s mother Mandy Cornett gave birth to Gomez when she was 16 years old. Selena Gomez is a huge fan of Cheryl Cole and she wishes to record a duet with her. Delevingne is a part of Taylor Swift’s very famous squad, which also includes popstar Selena Gomez, Hailee Steinfeld, Karlie Kloss, Gigi Hadid, Emma Stone, Camila Cabello, Lorde, Lily Aldridge, and Sarah Hyland. In 2015, the actress signed a whopping $3 million endorsement deal with Pantene. In 2016, Gomez featured in the ‘Share a Coke’ campaign by Coca-Cola. Selena Gomez takes great interest in working for various charitable causes. In October 2008, Gomez was appointed as the UNICEF spokesperson for the Trick-or-Treat, a UNICEF campaign where she encouraged the young children in America to raise money on Halloween to help other underprivileged children from around the world. In August 2009, at the age of 17, Selena Gomez became the youngest UNICEF ambassador and in in her first official field mission she travelled to Ghana to witness the stark condition of the poor children in country. She later said in an interview that she wants to use her star power to raise awareness about the condition of the children in Ghana. Selena Gomez is closely involved with RAISE Hope For Congo, which is an initiative run by Enough Project to raise awareness about the violence against women in Congo. In March 2011, Selena Gomez participated in the UNICEF Tap Project, which made the limited edition Celebrity Tap Pack water bottles. The bottles had tap water from the homes of the celebrities to raise funds for providing clean drinking water and sanitation in the African nations. I am human, I am not perfect. I make mistakes all the time, but I guess my job is to keep those mistakes to myself, which I am already fine doing and just try to be the best I can be for those kids. I realize that everybody wants what they don’t have. But at the end of the day, what you have inside is much more beautiful than what is on the outside. If you have three people in your life that you can trust, you can consider yourself the luckiest person in the whole world. Success is nothing if you don’t have the right people to share it with; you are just going to end up lonely. You fall in love, and it completely consumes you. My attention span is all over the place, and I overthink things. I am an insomniac. The day I got my first letter from a fan, I felt like I had been touched by an angel. Even if we try to forget, love will remember. If you are able to look yourself in the mirror every day with the decisions that you make, that's where power starts. People are going to bring you down because of your drive, but, ultimately, it makes you a stronger person to turn your cheek and go the other way. Sometimes you'll have moments where you'll feel weak. They're supposed to encourage you, they're supposed to motivate you and push you.